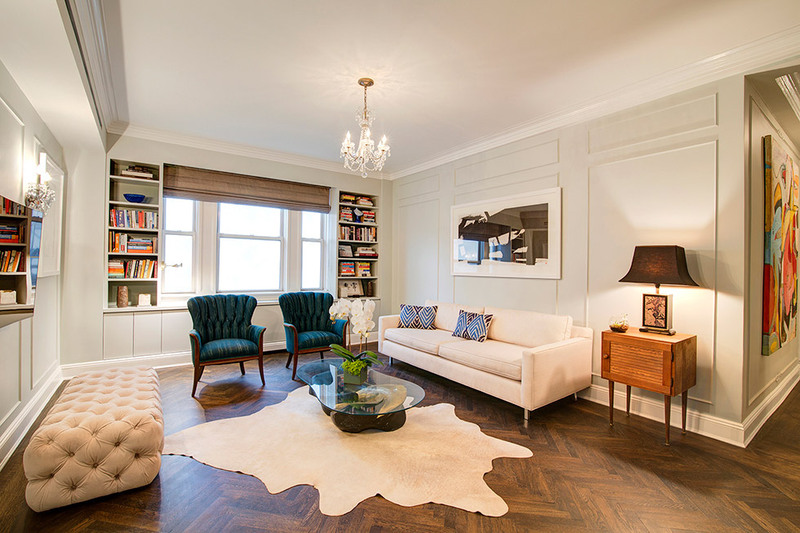 This apartment with south-facing open city views is located on the upper east side, originally constructed in 1922. 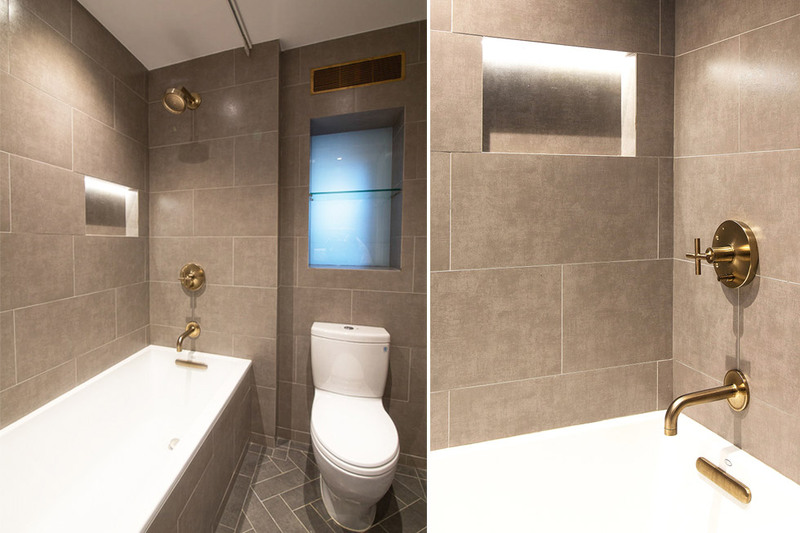 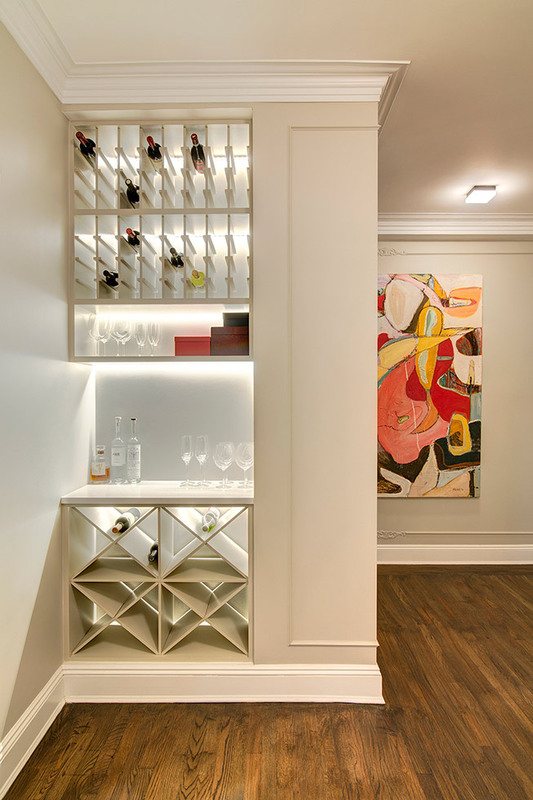 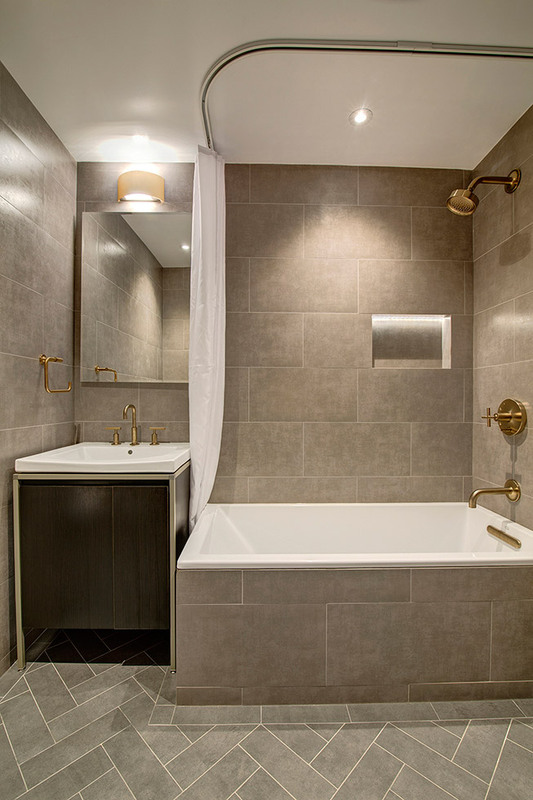 The owner appreciated the character and appropriateness of the apartment, and so we adjusted the layout and openings between rooms to create a better connection and flow of this uniqueness. 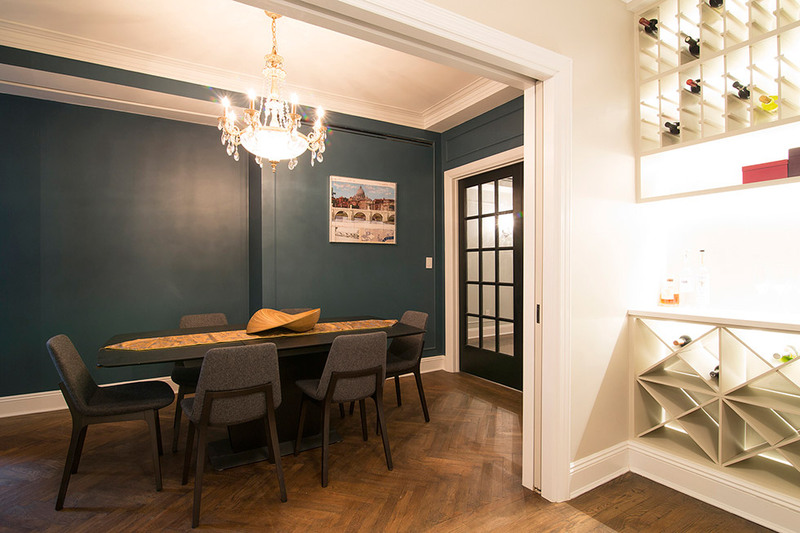 The approach was eclectic yet modern. 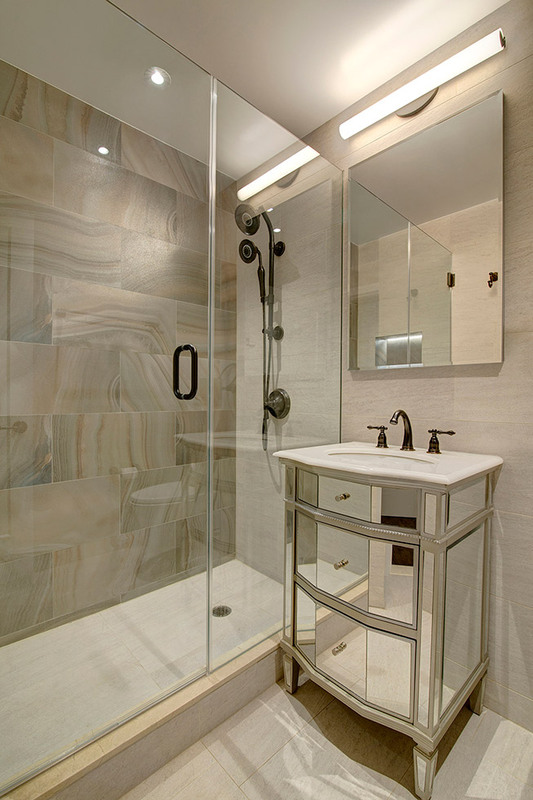 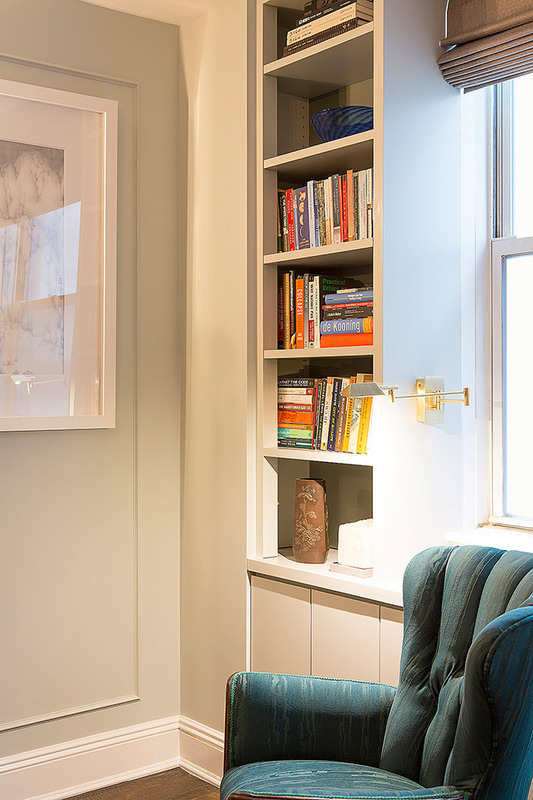 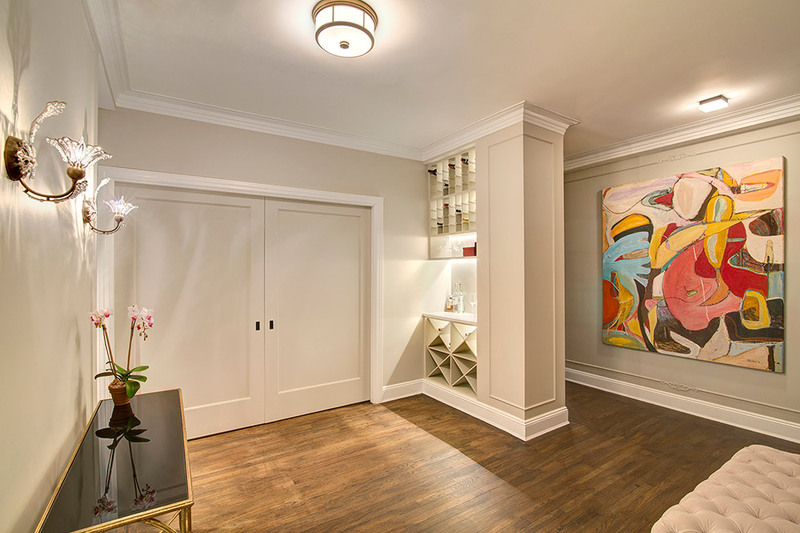 Baseboards, window, door casings, crown moldings were referential to the historical details, yet they were more straight-edged than precedent detail, which gave the space a clean and timeless look. 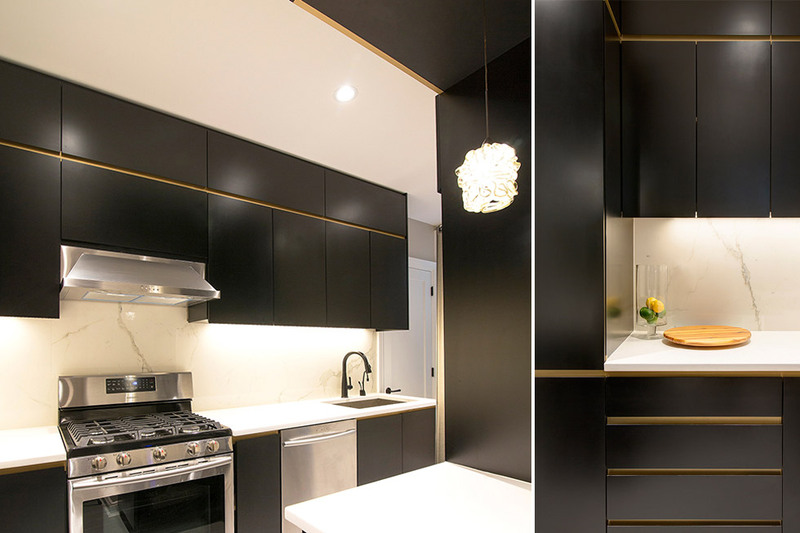 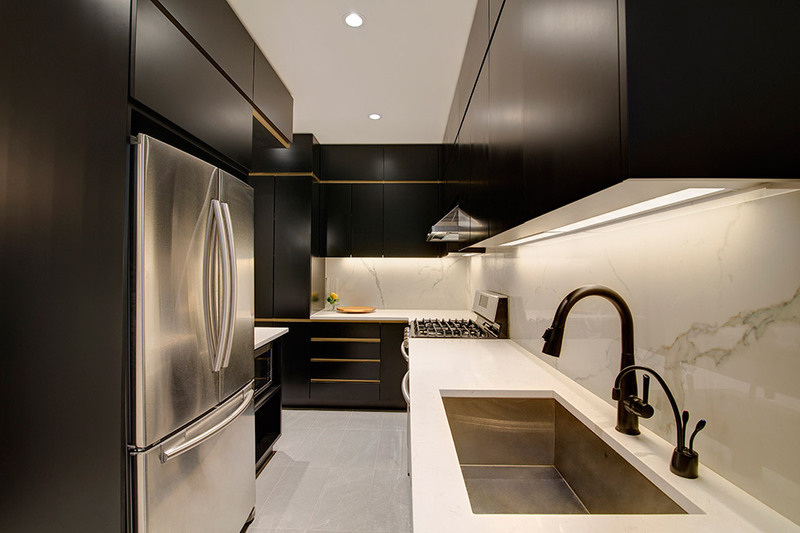 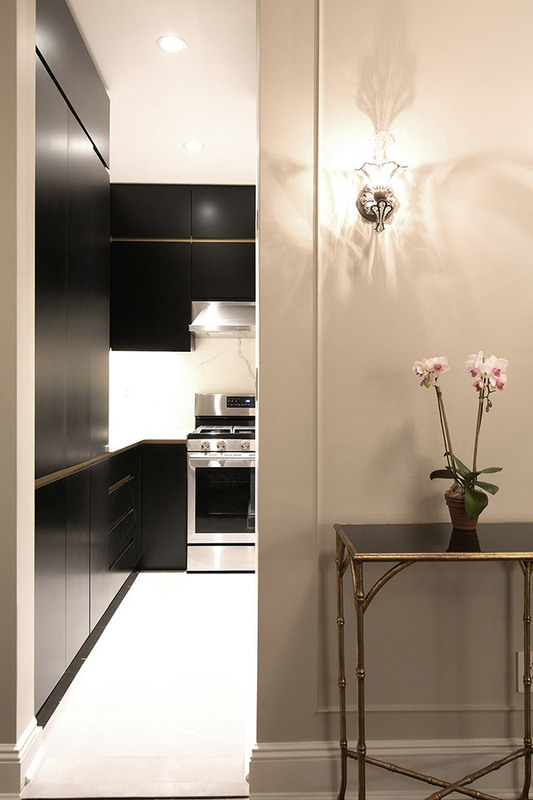 A complete modern black kitchen with the golden highlight rendered a high contrast.